2.Our company has 17 years of experience in chemical fiber production. 3.We have three advanced production lines and about 200 skilled workers. Q3.Where is your factory location9 A:We locates in China. 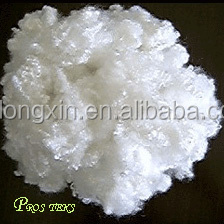 ,ltd Q1: What do you offer9 A1: We produce polyester staple fiber. Q2: What is it used for9 A2: Our fiber are widely used in yarn spinning,needle punch nonwoven and filling. Q3: Where is your factory location9 A3: We locates in Suzhou, China. 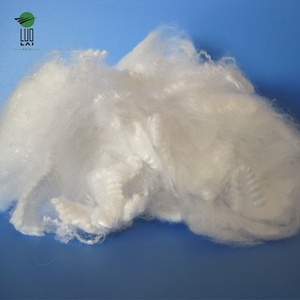 Type Virgin Polyester Staple Fiber Model number WL Use Fill Material Polyester Color White Style Hollow Conjugated Specification 3D/7D/15d*32/51/64mm, Siliconized Unit KG Quantity of each carton 350 Place of origin China Brand name Rongsun Production workshop Customer Packaging & Shipping Delivery & Payment Delivery We choose best delivery way with reasonable price and effective delivery time, including express, air transport, shipping way. 1. Sample&rsquo;s lead time:4-7days 2. Mass productions&rsquo;s lead time: about 10 days Payment T/T 30% as deposit to start production,the balance should be paid before loading. Why choose us9 1) Good quality 2) Competitive price 3) Variety models and specifications 4) Short delivery time 20days 5) The most professional OEM manufacturer Certificate 1) China National Business Credit System Member 2) China Credit Example Certificate 3) Integrity merchant of Asia international materials trading center 4) Guangdong furniture chamber of commerce raw and auxiliary materials professional committee member Services 1) Most and watmly welcome to visit our factory 2) All goods will be checked by our QC or your QC before delivery 3) We have appointed man to answer your questions on Alibaba in 12 hours 4) Welcome to provide the sample for custom Contact us Name Anke Hu Email Mobile +86-18988657972 Whatsapp&Wechat +86-18988657972 QQ 987978490 Website Address no 10 Yuanman Rode,Suxi Industrial Distruct,G325,Longjiang,Foshan,Guangdong,China Any inquiry,we will get back to you within 24 hours. Zhejiang Jinfuchun Industrial Co., Ltd.
, Ltd, is located in Fuyang District, Hangzhou City, Zhejiang Province. Our registered capital is 58000000 RMB, and the plant area is more than 60000 square meters. Our products are mainly used for the fillings of garments, toys, and h ome textiles . &ldquo;Hanbang&rdquo; fiber is specialized in producing recycled polyester staple fiber for more than 14 years. 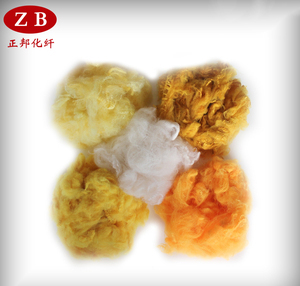 Our products:2.5D-25D hollow conjugated staple fiber and 0.9D-1.5D microfiber. Main market:from domestic to overseas,such as Japan,Philippines, Vietnam , Malaysia ,Middle East,Africa, Brazil , Russia , Mexico , America and some European you to visit our plant! Cixi Jiangnan Chemical Fiber Co., Ltd.
Jiangsu Gold Leaf Garment Accessory Co., Ltd. Please feel free to contact us via phone call, email or TM. After receiving your sample, our strong R&D team can analyze your sample and offer detail option. If proved to be our problem, will offer a satisfactory solution within one week. 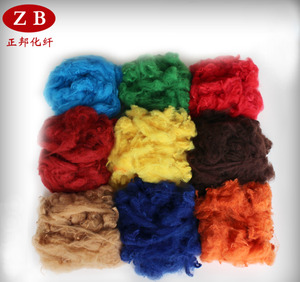 Alibaba.com offers 26,350 polyester staple fiber products. About 72% of these are synthetic fiber, 2% are nonwoven fabric, and 1% are pet. 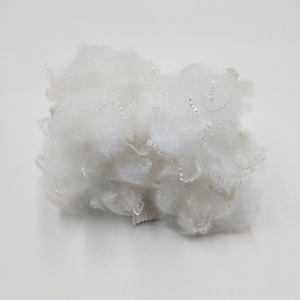 A wide variety of polyester staple fiber options are available to you, such as abrasion-resistant, flame retardant, and anti-static. You can also choose from filling material, concrete, and spinning. As well as from 100% polyester, 100% acrylic, and 100% polypropylene. 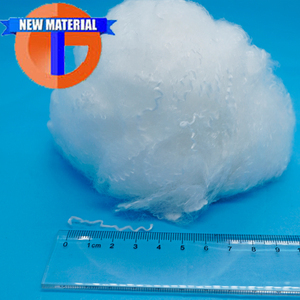 And whether polyester staple fiber is siliconized, raw, or non-siliconized. 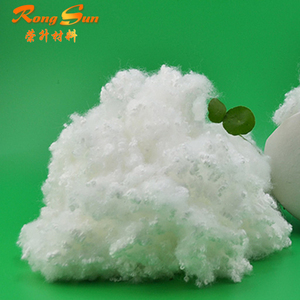 There are 25,797 polyester staple fiber suppliers, mainly located in Asia. The top supplying countries are China (Mainland), Vietnam, and South Korea, which supply 95%, 1%, and 1% of polyester staple fiber respectively. 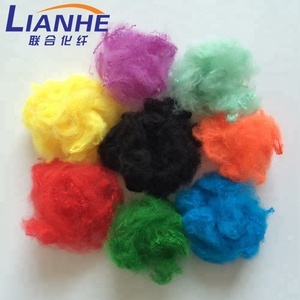 Polyester staple fiber products are most popular in South America, Domestic Market, and Southeast Asia. You can ensure product safety by selecting from certified suppliers, including 4,965 with ISO9001, 4,032 with Other, and 2,749 with ISO14001 certification.